I can't do this one on my own. Maybe God could love me still. I've done some wrong, and I'm not proud. Each stroke of his bell startles more blossoms into falling. Why not sign up to get emails with daily posts included? Today, I need not fear anything for I have endured and survived the horror of active alcoholism and, by the grace of AA and a Higher Power to which it led me, I have emerged not only intact but a better person. I have kept the faith in the Program, in its Steps and Principles, in the Power stronger than I, and I found faith in myself that I never had before. My gift has been sobriety the last 24 Hours. Having vested not only my heart and soul but my very life in this Program of recovery, I faced few terrors other than those within myself but met them with the guidance of the Steps. Now, nothing can compare and any fear from any source is something I know I can face responsibly, with faith and sobriety. 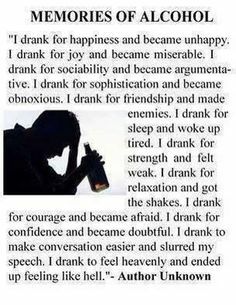 Today, I have nothing to fear except the ghosts of my drinking past, and my Program has empowered me to move beyond them, to leave the fear behind. 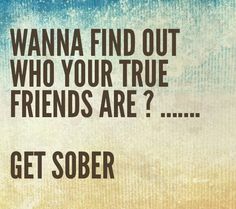 Yet I do not take for granted the gift of sobriety as something I am owed or even deserve; I have an obligation to it, and that obligation begins with sharing the message. And our common journey continues. “These, then, are my last words to you: Be not afraid of life. Believe that life is worth living. and your belief will help create the fact. I have lived my life as a compulsive eater and I have known many other compulsive eaters. I believe I can say unequivocally that life is much more difficult in so many ways for us than for many others. I denied that what I suffered from was a disease; yet I watched as over the years it robbed me of so many things others take for granted. Most of us will acknowledge early on that the manifestations of compulsive eating affects us spiritually, emotionally and physically. Volumes have been written about each of these so most reading this know the devastation it causes. When I began to inventory my life and saw how much the quality of it had suffered, it saddened me greatly. I believe one of the most difficult ways the disease of COE, or any compulsive illness, affects us is the way society looks upon us. 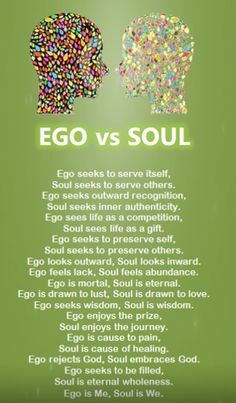 Because I have experienced life both ways, I know how behavior and attitudes change in interacting with a COE vs a non-COE. We wear our disease on the outside … but the extensive damage is far more wide-spread than just the physical. The disease wrecks havoc in every area of our lives as we silently go about our life doing the things expected of us. We don’t dare scapegoat the disease. After all, this is not a cancer … or heart disease. Yet it can be just as serious. Many decades ago, a group of alcoholics gathered and, as a result, life began to change for those of us who struggled with the disease. When I reached the point in my life that I could actually acknowledgement that compulsive eating was affecting it and that I had done everything possible to stop it and couldn’t, it was one of the most freeing moments I’ve ever experienced. I learned that I was as powerless over this as I would have been suffering a heart attack. I also learned that I couldn’t handle it alone. I learned that there were twelve steps that were absolutely necessary if I were to survive emotionally and, perhaps even physically. I went from fighting the disease to acknowledging it. Because of the Steps I learned that there were tens of thousands of others exactly like me and that we all spoke the same beautiful language. I learned not to be afraid of life … and that, despite this despicable disease, life is truly worth living. I was told to “act as if” and by doing this it became no longer an act. I affirm that my life is worth living. One day at a time, I affirm that I will not be afraid of anything that makes me feel otherwise. The physician wasn't hooked, he thought—he just prescribed drugs medically indicated for his many ailments. Acceptance was his key to liberation. For years I was sure the worst thing that could happen to a nice guy like me would be that I would turn out to be an alcoholic. Today I find it’s the best thing that has ever happened to me. This proves I don’t know what’s good for me. And if I don’t know what’s good for me, then I don’t know what’s good or bad for you or for anyone. 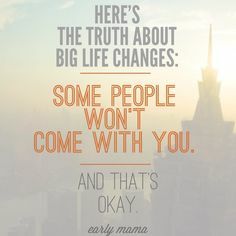 So I’m better off if I don’t give advice, don’t figure I know what’s best, and just accept life on life’s terms, as it is today—especially my own life, as it actually is. Before A.A. I judged myself by my intentions, while the world was judging me by my actions. A New year: 12 months, 52 weeks, 365 days, 8,760 hours, 525,600 minutes—a time to consider directions, goals, and actions. I must make some plans to live a normal life, but also I must live emotionally within a twenty-four hour frame, for if I do, I don’t have to make New Year’s resolutions! I can make every day a New Year’s day! I can decide, “Today I will do this … Today I will do that.” Each day I can measure my life by trying to a little better, by deciding to follow God’s will and making an effort to put the principles of our A.A. program into action. Do not be afraid, nor be dismayed, for the Lord your God is with you wherever you go. What makes a great state is its being (like) a low-lying, down- flowing (stream);—it becomes the center to which tend (all the small states) under heaven. (To illustrate from) the case of all females:—the female always overcomes the male by her stillness. Stillness may be considered (a sort of) abasement. There are two forms of error now prevailing among followers of Zen, laypeople as well as monks. The one thinks that there are wonderful things hidden in words and phrases, and those who hold this view try to learn many words and phrases. The second goes to the other extreme, forgetting that words are the pointing finger, showing one where to locate the moon. Only when these two erroneous views are done away with is there a chance for real advancement in the mastery of Zen. Today, I awaken to a new day with full memory of last night but, if not, the day that awaits offers a chance for another beginning. 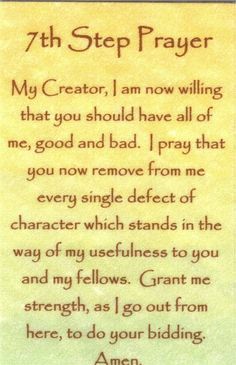 Grant me the wisdom and courage, Higher Power, to seize the opportunity to continue or even begin to work toward something better, something I thirst and hunger for – sobriety, serenity, peace, calm, a worthy self-image, and a sense of gratitude that I am here even to be given yet another second chance. My best hope for what I seek is AA and its Steps and Principles and, today, may I finally decide that enough is enough of the alcoholic hangover and all the garbage that comes with it. But let me be disciplined enough, too, to understand that what sobriety and recovery offer comes with a price – to be of service to anyone else who needs and wants what I seek. Today, I have yet another chance for another new beginning. Let not the lifeboat go by without me on board. And our common journey continues. Step by step. - Chris M.
Shakespeare said, “All the world’s a stage, and all the men and women merely players.” He forgot to mention that I was the chief critic. I was always able to see the flaw in every person, every situation. And I was always glad to point it out, because I knew you wanted perfection, just as I did. A.A. and acceptance have taught me that there is a bit of good in the worst of us and a bit of bad in the best of us; that we are all children of God and we each have a right to be here. When I complain about me or about you, I am complaining about God’s handiwork. I am saying I know better than God. Sometimes it seems as if our recovery is growing much too slowly. We struggle with the steps; we wrestle with the same problems; we labor under the same uncomfortable feelings day after day. We wish that recovery would move a little faster so we could find some comfort! Wishing doesn’t work in recovery; this isn’t a program of magic. If wishes cured addiction, we all would have been well long ago! What does give us relief in recovery is action and prayer. Narcotics Anonymous has worked for so many addicts because it is a carefully designed program of action and prayer. 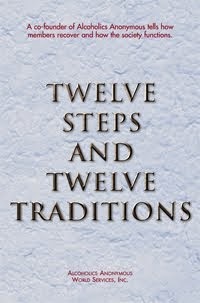 The actions we undertake in each of the steps bring more and more recovery to each area of our lives. And prayer keeps us connected to our Higher Power. Together, action and prayer keep us well-grounded in recovery. Just for today: My recovery is too precious to just wish about it. 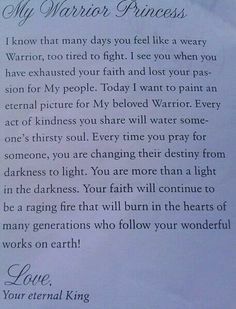 Today is a good day for action and prayer. Today, when resolutions for the coming new year are in vogue, I will make none because to do so would overlook the Program’s edict to take life one day at a time. Further, I have no guarantee that an entire year is promised me, and I cannot live for a day in the future because, in doing that, I am neglecting today. The AA Program discourages us from living or looking too far ahead if today is sacrificed and encourages us to make our resolutions daily. Today, as I awaken to greet a new day, my resolution is to adhere to the Steps and Principles of the Program and not drink and, further, to grow in the sobriety I seek today. And our common journey continues. Is someone happier, better or braver because of some act of yours today? If you can answer yes to any or all of them, then you can feel rather confident that you are progressing in the AA way of living. If you can’t – then you are not giving it the old College try and you are cheating yourself out of a lot of happiness that could have been yours. Another whole world opens up when we close our eyes and calm our mind. Be still and know; be still and hear; be still and see; be still and feel. Inside every person is a still, small voice. Sometime it is necessary to close our eyes to shut down our perception in order to see. Try this occasionally; when you are talking to your child or spouse, close your eyes and listen to them. Listen to the tone of their voice; listen to their excitement; listen to their pain-listen. Great Spirit, today, let me hear only what really counts. An alcoholic who continues to drink is committing suicide. An addict who continues to use is committing suicide. An overeater who continues to eat compulsively and destructively is committing suicide. Madness. Today I accept my past destructive behavior and try to change it on a daily basis. Spirituality is loving yourself enough to “see” the writing on the wall and do something about it. Change is sanity for the madman! God, You seem to have given me a dose of insanity. Let me use it to Your glory. Many people are living in an emotional jail without recognizing it. Prayer for the Day: Higher Power, help me to stay free. For this next twenty-four – hour period, take from me any urge to drink or use other drugs. With Your help, I’ll be free. Action for the Day: Today, I’ll think about my disease. I am not morally weak. I have a dangerous illness. What can keep me free from my disease? He was my greatest teacher. He taught me patience. Whenever I feel downtrodden or disappointed by the hand that life has dealt me, I often think of this quote. It moves me beyond speech. Here was a man who had lost his homeland to communist China, yet he still had a good thing to say about the man who started it all. It forces me to come to a realization that what has happened to me is peanuts! Too often I am caught up with feeling sorry for myself because of my disease, while ignoring the fact that I am so fortunate to have found recovery. Sometimes I feel so poor, yet I live in a large home with a wonderful spouse and delightful pets. I have a car, and enough food to eat every day. I have the luxury of obtaining my degree. Most of all, though I often complain about how unfair it all is, I am even fortunate to have an eating disorder. Because it is through admitting I have a problem that I am beginning to taste recovery, and it is sweeter than any binge item. And it has taught me that it is through our adversities that we learn compassion and patience. I have to realize that life just isn’t fair. If it were, how boring it would be! 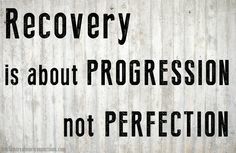 Nothing worthwhile is easy to obtain, and that includes recovery. What would it be worth if there was no effort going into it? Sometimes bad things happen, and they are unfortunate. But that’s the end of it. I cannot make things be the way I want them to be. I cannot change life. I must accept life on life’s terms, and learn the art of patience, so well demonstrated by the above quote. How fortunate that I have the opportunity to learn these precious skills in the safety and security of my own home, with my wonderful friends, spouse, and my program family! I will avoid dwelling on the misery that accompanies hardship. I will develop the willingness to be grateful for the opportunity for me to learn compassion and patience. The success of The Program, I've been taught, lies in large measure in the readiness and willingness of its members to go to any lengths to help others tyrannized by their addictions. If my readiness and willingness cools, then I stand in danger of losing all that I’ve gained. I must never become unwilling to give away what I have, for only by so doing will I be privileged to keep it. Do I take to heart the saying, “Out of self into God into others…”? – The physician wasn't hooked, he thought–he just prescribed drugs medically indicated for his many ailments. Acceptance was his key to liberation. 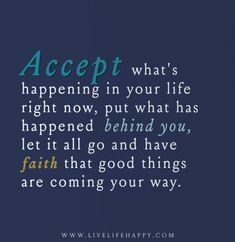 And acceptance is the answer to all my problems today. When I am disturbed, it is because I find some person, place, thing or situation as being exactly the way it is supposed to be at this moment. Nothing, absolutely nothing, happens in God’s world by mistake. 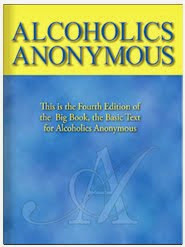 Until I could accept my alcoholism, I could stay sober; unless I accept life completely on life’s terms, I cannot be happy. I need to concentrate not so much on what needs to be changed in the world as on what needs to be changed in me and in my attitudes. “The past is best mended by living so fully today that its errors have no place in our lives.” These words by an AA member suggest an approach for healing from the past. All of us would benefit to use today’s knowledge to deal with situations we mishandled in the past. But we must remember that whatever mistakes we made, we had available only the knowledge and resources we possessed the, and we may have done about as well as we possibly could at this time. 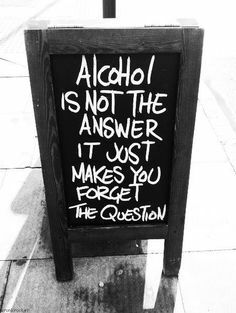 We should also remember that active alcoholism is a crippling and ugly disease with many terrible consequences. It’s not surprising that bad things happened to others and us when we were drinking. We can only be grateful that we are now recovering and that matters are better, not worse, than they once were. I’ll live fully today, allowing no thoughts of regret from my past to intrude. Participating in the privileges of the movement, I shall share in the responsibilities, taking it upon myself to carry my fair share of the load, not grudgingly but joyfully. I am deeply grateful for the privileges I enjoy because of my membership in this great movement. They put an obligation upon me which I will not shirk. I will gladly carry my fair share of the burdens. Because of the joy of doing them, they will no longer be burdens, but opportunities. Will I accept every opportunity gladly? Work and prayer are the two forces which are gradually making a better world. We must work for the betterment of ourselves and our fellow men. Faith without works is dead. But all work with people should be based on prayer. If we say a little prayer before we speak or try to help, it will make us more effective. Prayer is the force behind the work. Prayer is based on faith that God is working with us and through us. We can believe that nothing is impossible in human relationships, if we depend on the help of God. I pray that my life may be balanced between prayer and work. I pray that I may not work without prayer or pray without work. At some point in our recovery, we come to the awkward realization that the way we see ourselves is not necessarily the way others do. We are probably neither as bad, as good, as beautiful, or as ugly as we think we are – but we are too close to ourselves to really tell for sure. That’s where our friends in the program come in, caring enough to share with us what they see when they look in our direction. They tell us the good things about ourselves we might not know – and they tell us the hard things, too, that we might not be able to see. We may react defensively to such “help” and, in some cases, justly so. However, even malicious remarks about our supposed shortcomings can shed light on aspects of our recovery that we cannot see ourselves. Wherever a useful insight comes from, for whatever reason it is offered, we cannot afford to discount it. We don’t need to wait for others to spontaneously offer their insight. When we spend time with our sponsor or other NA members we trust, we can make the first move and ask them to tell us what they see about particular areas of our lives to which we are blind. We want a broader vision of our life than just our own; we can have that vision by seeing ourselves through the eyes of others. Just for today: I seek to see myself as I truly am. I will listen to what others say about me, and see myself through their eyes. The disease of compulsive overeating is a devious one. It tries to tell me that I’m not a worthwhile person. It tries to tell me that I’m never going to recover, so I may as well eat. The disease tries to make me feel like I’m the lowest of the low. 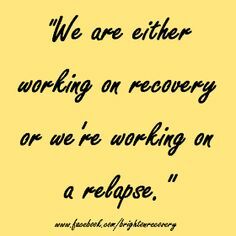 Fortunately, there are many things in this recovery program that counteract the disease. I can use a food plan to make sure I don’t eat what I’m not supposed to eat. I can read program literature to show me how to live triumphantly. I can work the Steps, do service, make outreach calls; there’s so much I can do which can bring recovery from compulsive overeating. Another of the things I can do to counteract my disease is meditation. When I meditate, I come into conscious contact with my Higher Power. Meditation helps me to see that I am a worthwhile person, that God loves me just as I am. When I meditate I gain insights into the program literature I’m reading, I learn the things I need to do to further my recovery. I also learn the things that stifle my growth, so I can stop doing them. Meditation is very important to my recovery program. I remember the importance of meditation, and I meditate every day. Clancy I. and Chuck C. - AA Speakers - "Hope and Healing in AA"
He who possesses the mother of the state may continue long. His case is like that (of the plant) of which we say that its roots are deep and its flower stalks firm:—this is the way to secure that its enduring life shall long be seen. Forgiving seems impossible at times. We wonder how Mom and Dad can be so nice to them. We think our parents don’t see their true sides. We may feel like we get blamed for everything in the family while our brothers and sisters are praised. Today let me be willing to let go of one resentment so I can benefit from a more comfortable sobriety. "I was to test my thinking by the new God-consciousness within. expect to receive. But that would be in great measure." Today, let me loosen my grip on my perspective that the Program hammers what I cannot do and, instead, understand that it empowers me with what I can do. While I cannot continue in futile endeavor to regain control over alcohol, I can dis-empower it by not feeding it. While I cannot continue to engage in conduct that injures myself and others, I can chart a 180-degree course change and start to give something nurturing instead of inflicting harm. And while I cannot always make direct amends for whatever reason, I can make indirect amends by working a Program in which my sobriety is its own amend. The Program of AA is not one of cannot; it is, instead, a Program of can. Today the first word in can’t is can. And I can. And our common journey continues. Today, the first word in hopelessness is hope; the first word in helplessness is help; the first word in senselessness is sense; the first word in powerlessness is power. Within insanity is sanity; within fear, fearlessness; within pain, strength; within anger, reconciliation. This is our Program: from hopelessness comes hope; from helplessness, help; from senselessness, sense; from powerlessness, power; from insanity, sanity; from fear, courage; from pain, strength; from anger, forgiveness. And from them – sobriety. It’s that simple. And our common journey continues. (c) That God could and would if He were sought." "When temptation comes, I don't say, `Yes," and I don't say, `No.' I say, `Later,' I just keep walking the Red Road - down the middle. When you're in the middle, you don't go to either extreme. You allow both sides to exist." We need to practice controlling our focus. Whatever we focus on we become. We also become whatever we practice. We need to focus on balance. Whenever something comes along to tilt us off balance, we need to be grateful, because it allows the opportunity to practice our focus. Sometimes this is called temptation. Temptation in itself is not bad. What really counts is what we do with it when it happens. We need to practice controlling our focus and keeping our thinking focused on the Red Road. Great Spirit, today, guide me through my temptations and allow me to focus on the Red Road. Taking the first step helps bridge the gulf between our dreams and our accomplishments. Whether the project is cleaning the garage, building a cathedral, or recovering from an addiction, plans must be translated into action. In order to arrive at our destination, we must begin the trip. We can read hundreds of college catalogs, but it’s when we register for a course, buy a textbook, and begin to study that we are on our way to a degree. Two factors inhibit our beginning a project. The first is lack of clear motivation, and the second is fear of failure. If we don’t really want to do something, it’s hard to get started. So, if motivation is a problem, we may need to reconsider our choice of projects. As for fear of failure, this may be something that we step over and around as we move forward. It is not a good reason for aborting a dream. If, in spite of fear of failure, we make a beginning, we will find that the fear shrinks with every step we take. Action is the catalyst. We learn how to do something by doing it.